If you want to give ammo reloading a try you will need different types of reloading supplies and equipment. All that paraphernalia is important but don’t forget you need the best reloading manual too. You’re probably asking, why should I buy a reloading manual when there is information available on the Internet? Well that’s part of the problem because literally anyone can post anything online. It is very difficult to tell if the reloading ammo instructions were written by an expert or not. Since you’re dealing with powder you can never be too careful. That’s why I recommend the following manuals for beginners. 2 What is the Best Reloading Manual? The 49th edition of one of the best reloading book for beginners is packed with a lot of updated information. This is a comprehensive pistol and rifle manual written in a way that new reloaders will easily understand. The book provides information on new and widely used calibers. The WSSM Series, the 405 Winchester, 375 Ruger, the 338 Federal, the 325 WSM, the 6.8 REM SPC , the 204 Ruger and more are covered. The book also provides information about new calibers like the 460 S&W and the 5.7×28 mm. Lyman also covers a lot powder including Winchester, VihtaVuori, Ramshot, Hodgdon, Accurate and Alliant among others. Need information about bullets? No worries as the book also has them in depth. Well known brands like Swift, Hornady, Sierra, Barnes and many more are included. Not surprisingly there’s a lot of information about the Lyman cast bullets. However it doesn’t scrimp when it comes to the other calibers. In total, 8 types of powders and 5 kinds of bullets are covered. The book covers a lot of ground, but the explanations are clear and easy to follow. Aside from the bullets and powders, the 49th Edition also goes through the reloading basics including the set up and reload. 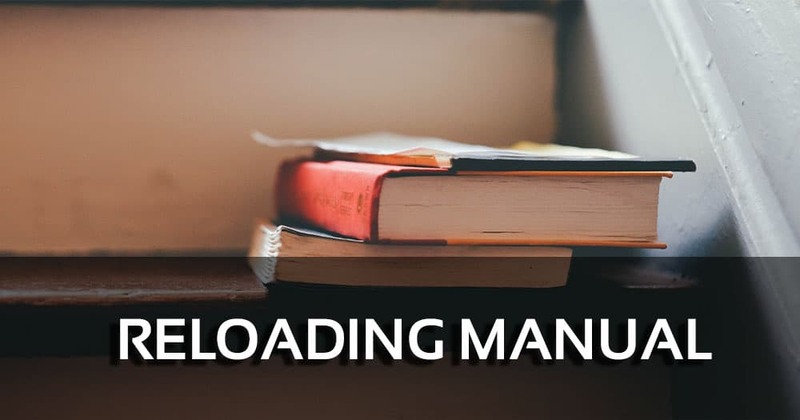 The 49th Edition Reloading Manual is large but manageable. The first few chapters in particular do a good job of explaining what reloading is about. The load tables are well made, and it covers most if not all the calibers you’ll be using. The book also tells you the most precise loads, which should prove very useful for beginners. 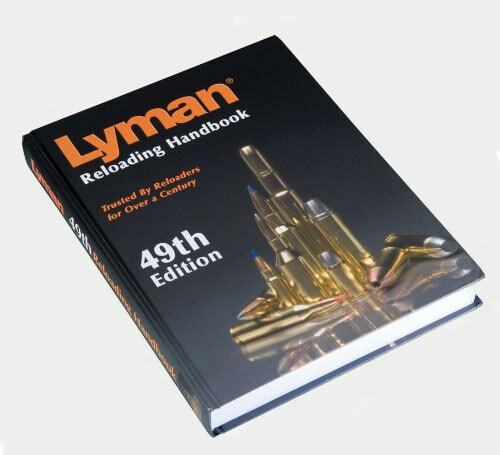 For general information on reloading the Lyman 49th Edition Reloading Handbook is hard to beat. The book is well written, the layout is good and all the items you’ll need are listed in the beginning. 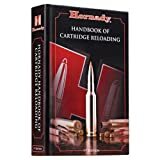 The Handbook of Cartridge Reloading was a success when it first came out, and the 9th edition just made this one of the best reloading manual for handguns and rifles. This manual is the perfect complement for your reloading press as it provides a lot of facts about the latest cartridges. The book also covers terminal, internal and external ballistics as well as propellants. 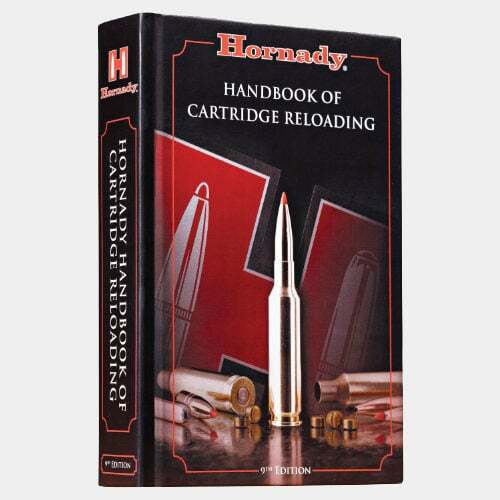 The 9th Edition Hornady Handbook of Cartridge Reloading serves as an excellent resource for new reloaders. The book is more than 900 pages so expect to find plenty of information here. All the popular Hornady bullets are listed here including the XTP, A-MAX, Interlock, InterBond, SST, V-MAX and more. Each cartridge is covered in-depth and has information on the appropriate bullets. The book also goes in depth explaining the 308 Win 25-06, 300 Whisper, the 223 Rem, the 356 Winchester and 416 Barrett. You also get info on the most common propellants including the CFE-223, the AR-Comp and the Power Pro Varmint. Hornady updated the cartridge database as well as the reloader charts. The book also offers simplified explanations of various ballistics and what they’re for. The manual doesn’t just focus on pistols as there’s stuff on rifle loading as well. The 5.56 NATO, the 223 Remington, the AR10 and M14 and other calibers. Even the SW 500 Magnum is covered. Hornady also devotes sections to surplus military guns and goes into detail about muzzle velocity and pressure. While it’s written for beginners the book does have bullet and reloading advice that veterans will appreciate. If you use Hornady bullets then you’re going to want to have this manual. It comes with a lot of facts, charts and figures, but they’re written in a way that new reloaders will understand. 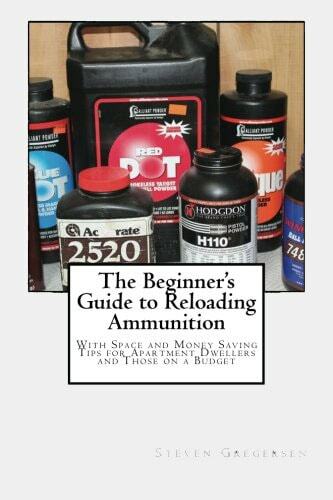 This reloading manual is written by Steve Gregersen, and unlike other guides this is for reloaders on a budget looking to save money and space. Steve wrote this based on his lifelong experience with guns and reloading ammo. At 152 pages it’s shorter than most others, but make no mistake about it this is one of the best reloading manual for 9mm. Steve has written an easy to understand reloader’s manual which explains what you need to know about ammo and reloading. There are chapters devoted to bullets, gun powder, cartridge cases, primers and more. These topics are covered in detail, but Steve uses non technical terms to state what they mean. The characteristics of cartridges, bullets and powder are explained too. He goes into detail on how reloading works, the preparation, what’s necessary and what’s optional. The manual also reveals what kinds of gun powder are most ideal for what situation. Much of the manual focuses on metal ammo reloading, but there are sections on how to reload shotgun ammo. What these chapters show is how it’s possible to reload even if you’re on a budget. There are images to guide you on the reloading procedure. Once you’re familiar with the basics you’ll learn how to reload even if you have limited space and money. This reloading manual is comprehensive but still easy to understand. The chapters are well organized and divided into digestible chunks. The data is accurate, clear and not without humor. While mostly basic even those preparing for a competition will find lots of useful info. One of the things that becomes clear is that Steve knows what he’s talking about. It goes into a lot of detail but doesn’t get confusing. That the book is less than 200 pages should make it more enticing to read. The 8th edition of this manual has been updated and includes information on the 26, 28 and 30 Nosler cartridges. The powder sections have also been expanded along with the AccuBond data. The reloading procedure is explained step by step and in a language that a novice can comprehend. Other aspects like cartridges, cases, powders and other reloading gear are explained in detail. Information is interspersed with accounts by real life shooters who have used these calibers and cartridges. That the information is written by people who have had actual experiences adds to the credibility of the manual. The manual comes with a lot of high quality images that accompany the text. These include cartridges to scale, bullet cross sections and ballistics table. The tables are detailed but explained clearly. The charts are supplemented by a glossary that explains commonly used terms in reloading and guns in general. The book also tells you what a bullet is, a jacket, the right metal to use and so on. The book is comprehensive and covers essential information on all the popular bullets, calibers, powders and other gear. The Nosler 32-34 grain and 40 grain bullets are covered in detail as well as the 204 Ruger, 6.5 Creedmoor, the 458 SOCOM and more. This is a large book and covers a wide range of subjects. The good thing about it is the information is well presented and even a new reloader should have no trouble figuring out how reloading works. The vast amount of data in the book may seem overwhelming at first, but it makes for an excellent reference. At the end of the book are some blank pages where you can jot down notes. Overall the quality is very high and exactly what you’d expect from Nosler. What is the Best Reloading Manual? The best reloading manual is one that is comprehensive yet easy to understand. A manual stuffed with information is of no use if you’re having a hard time finding relevant facts and figures. The best reloader manual also contains updated data on the latest calibers, bullets, powders and so on. Any reloader worth its salt should be updated frequently so the data is always relevant. The reviews above should give you an indication of how good these books are. All four of them were prepared and written by experts in the field with extensive knowledge of guns, powder and reloading. However the Nosler Reloading Guide 8 gets my vote as number 1. Simply put it is a well written, well researched and entertaining read. The information in the book is reliable, updated and well suited for beginners. 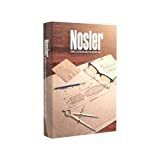 There is more than just general information here as Nosler goes in depth on the topics that it covers. If you are looking for the best reloading manual then you have found it with the Nosler.